Enhanced Intimacy- Life can get really busy and we can easily get into a routine that puts us on auto-pilot. Add kids on top of your already busy life and your relationship can become last if you’re not mindful. Spending one on one time with your loved one is the breath to any relationship. Time alone together allows you to talk without interruptions, gaze into each others eyes, hold hands, laugh, and build intimacy with one another. Alone time also allows you two to talk with no filters and/or without having to spell out certain words because you have kids that will repeat everything you say! Intimate time with your loved one is an easy way to grow your love for one another. 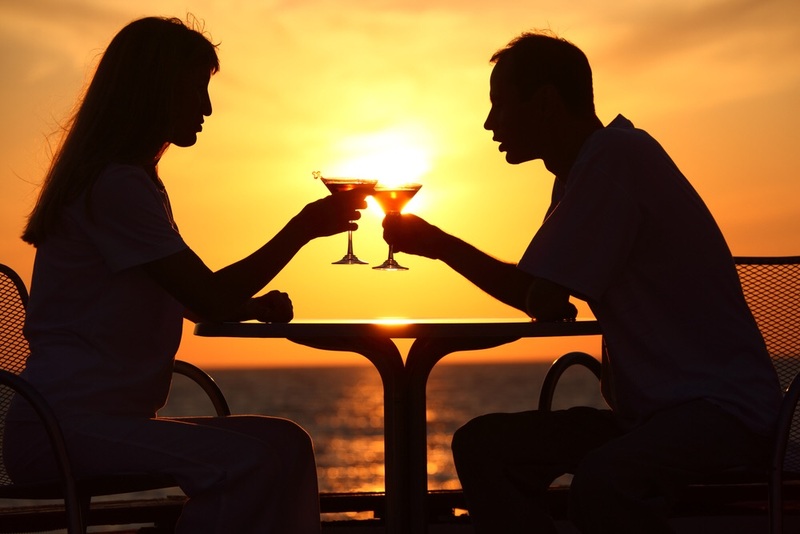 Enhanced Love- Date Night’s with your loved one can enhance your love for each other. It is during the dating stage of a relationship that most couples fall in love, so it is very easy to get back to and to continue with growing love when you are constantly dating your loved one. It is such a wonderful feeling to fall in love with your loved one all over again and again. Date Night’s can easily open the gates for this to happen over and over again. Date Night’s remind us why we started dating in the first place, why we fell in love, and why we are still in love. As we are growing new memories; it’s a great time to reflect on past times that we have enjoyed each other’s company. Date Night’s are exciting, filled with love, and have fun written all over them. Enhanced Fun- There's no such thing as having too much fun when you’re having it with the one you love. Enhanced fun in a relationship can easily take it off autopilot and add passion, spice, laughter, romance, and just a good time to your relationship. Your children will see the fun you two have and it will set the stage for the type of relationship they will want in the future. Besides, let’s be honest; when you’re having fun in your relationship your home is happier! Lastly, Date Night does not have to be expensive. I’ve heard one couple say that Date Night on a budget for them is going to StarBucks having coffee or tea and just talking, or going to Target just the two of them to household shop, talk with no interruptions, and just enjoy each others company. Date Night can be done at home by simply spending time together once you put the kids to bed. Time together can be movie night, (RedBox is our fav), game night (we like Uno, Mancala, and Dominoes), enjoying a glass of wine together, turn on some music and just dance together, light candles, play soft music, and just talk, and/or step outside and stargaze with one another. On the nights that you do leave the house for Date Night, be sure to plan accordingly, you want to use your sitter time wisely! Have a plan on what you’re going to do, make reservations, buy movie or concert tickets on-line, and then go and have FUN! It can also be fun to switch things up, do something unfamiliar and exciting to keep the spark. Go NOW....plan your next Date Night!